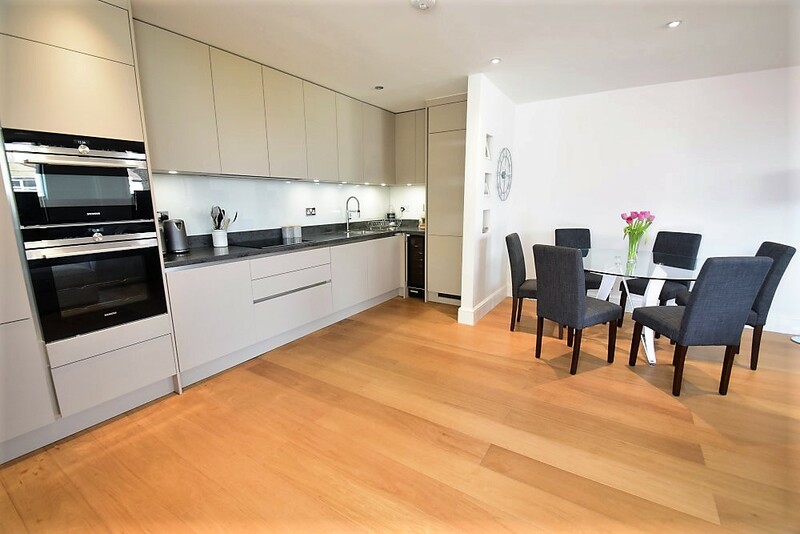 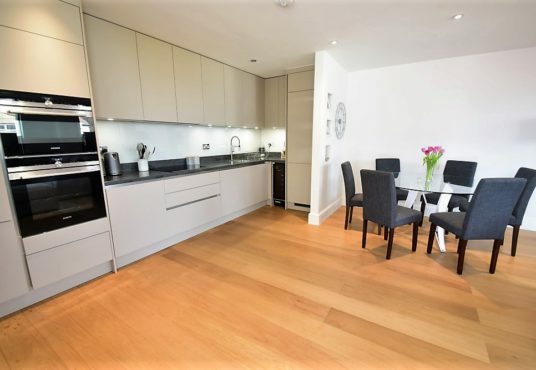 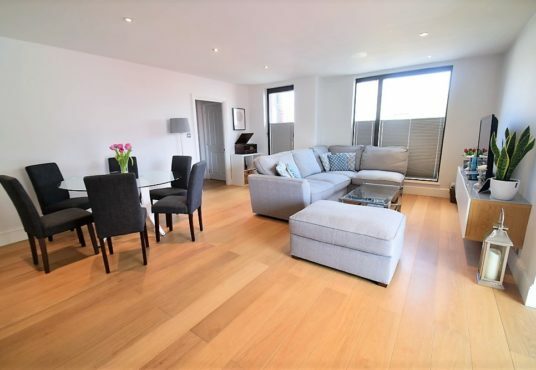 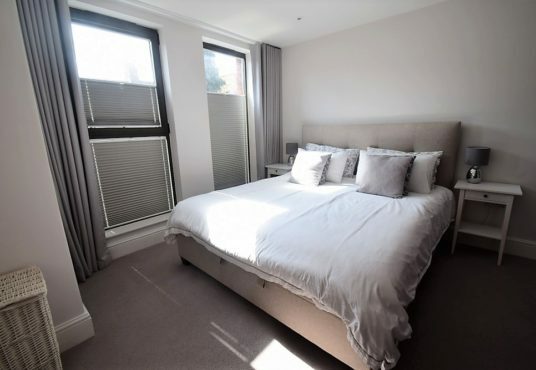 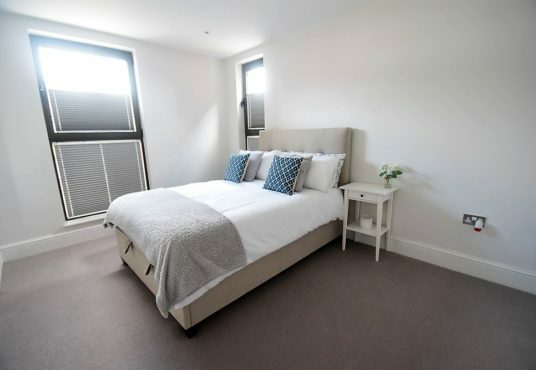 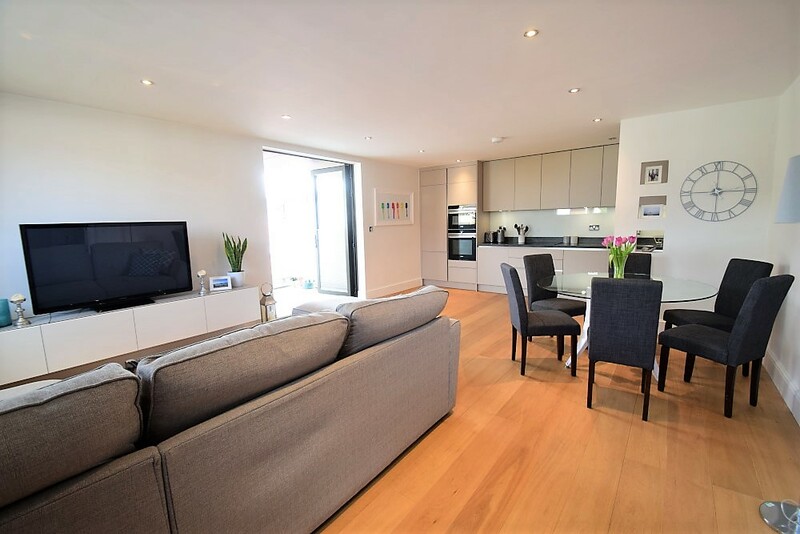 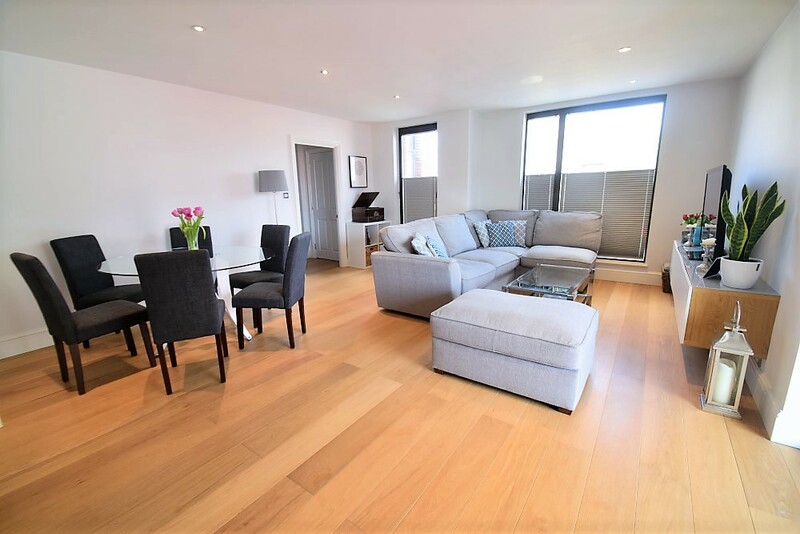 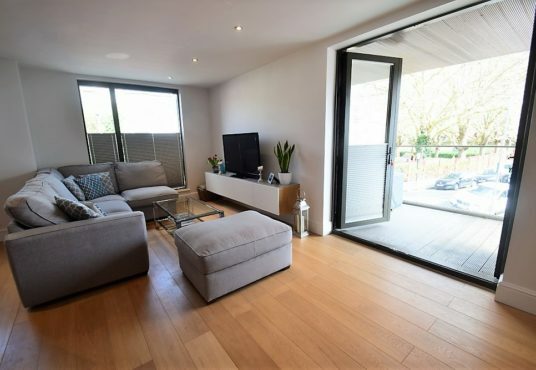 This brand new first floor flat is conveniently located less than 5 minutes from the shops and restaurants in Southfields and under 20 minutes’ walk to the tournament. The beautifully presented accommodation comprises 2 bedrooms and 2 bathrooms. The master bedroom is spacious and very light with large full height windows (with blackout curtains) and a 6ft superkingsize bed. The guest bedroom has a standard sized double bed and an en-suite shower room with a large walk in shower, basin and WC. 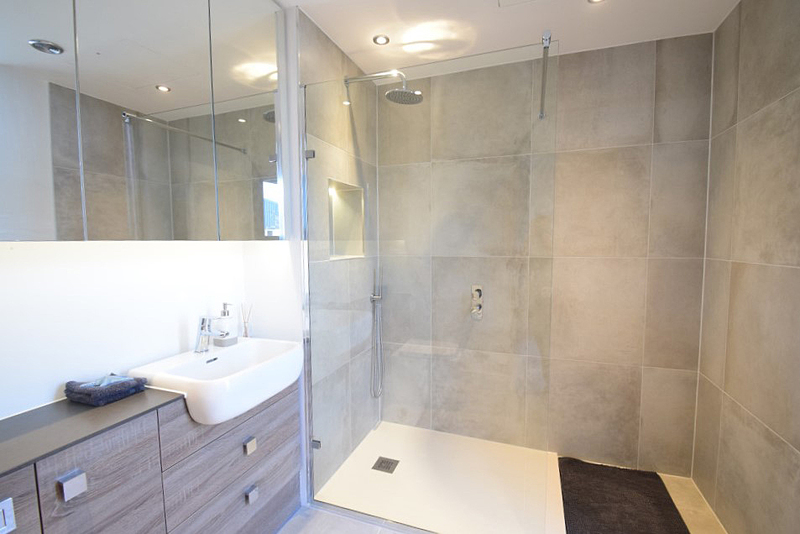 The separate family bathroom has a bath and overhead shower, basin and WC. 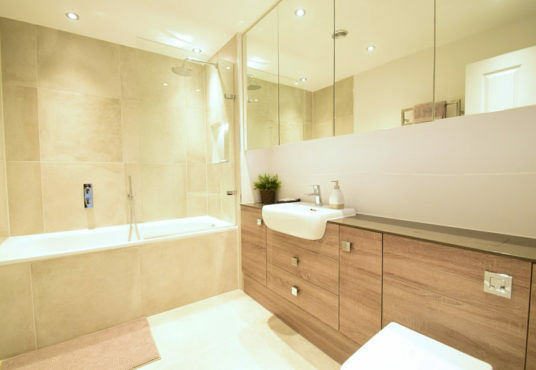 Both bathrooms are modern and immaculate. Along the wide hallway is a very spacious open plan kitchen / dining / sitting room with glass doors opening onto large balcony. The kitchen is modern and well equipped with an oven, hob, fridge freezer, microwave, Nutribullet, dishwasher and washing machine. 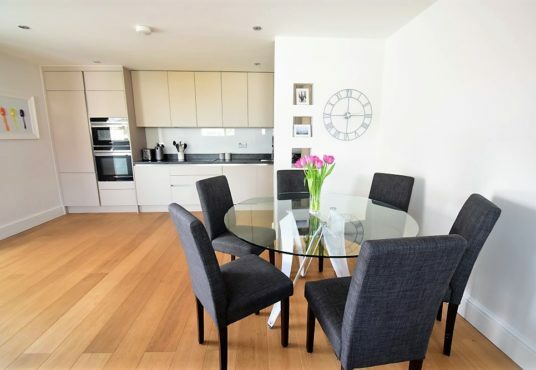 There is a dining table and 6 chairs and an L shaped sofa for watching the large TV. 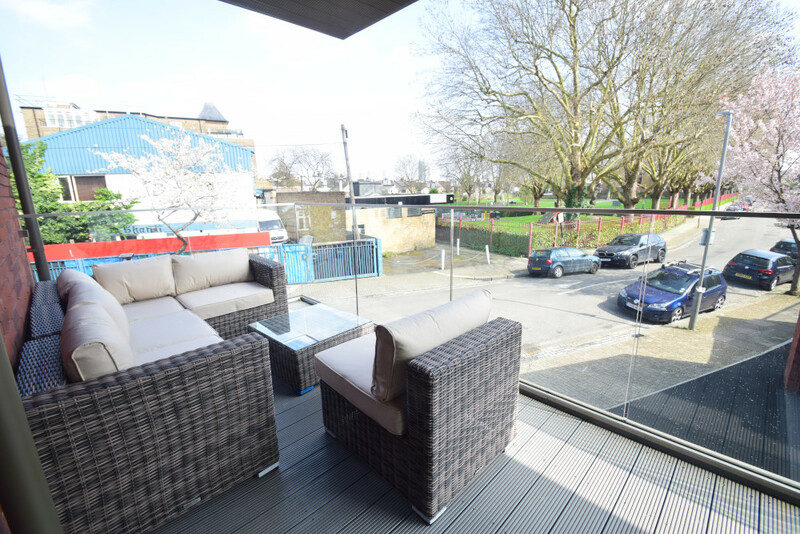 The balcony has comfortable seating and overlooks a pretty park. 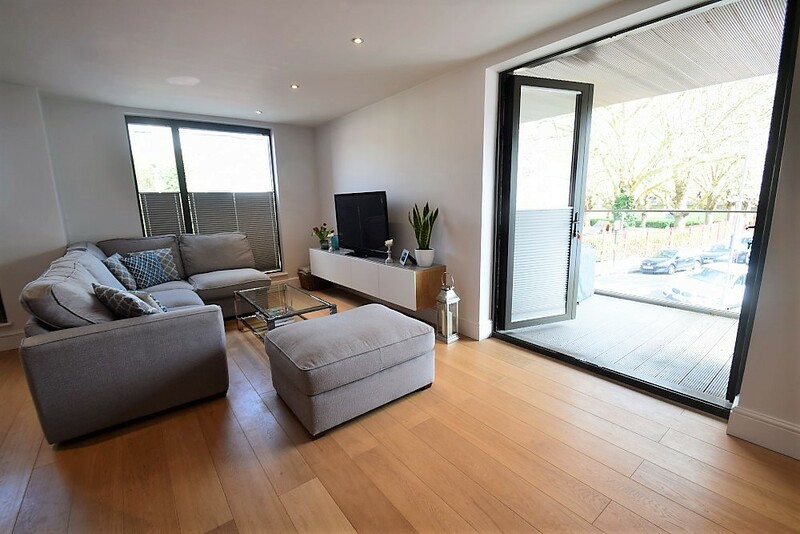 An exceptional quality apartment with a cool, modern look!